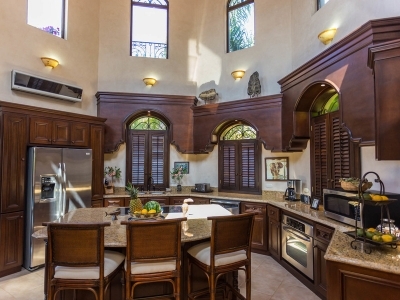 0.44 ACRES – 3 Bedroom Luxury Home Las Olas Gated Community Great Ocean Views!! 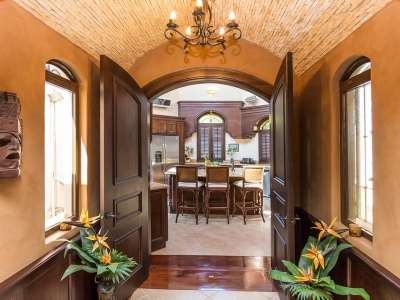 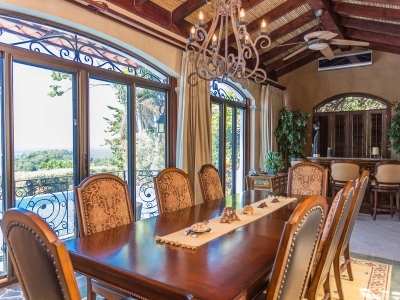 When you and your guests step into this home, you can’t help but feel the luxury. 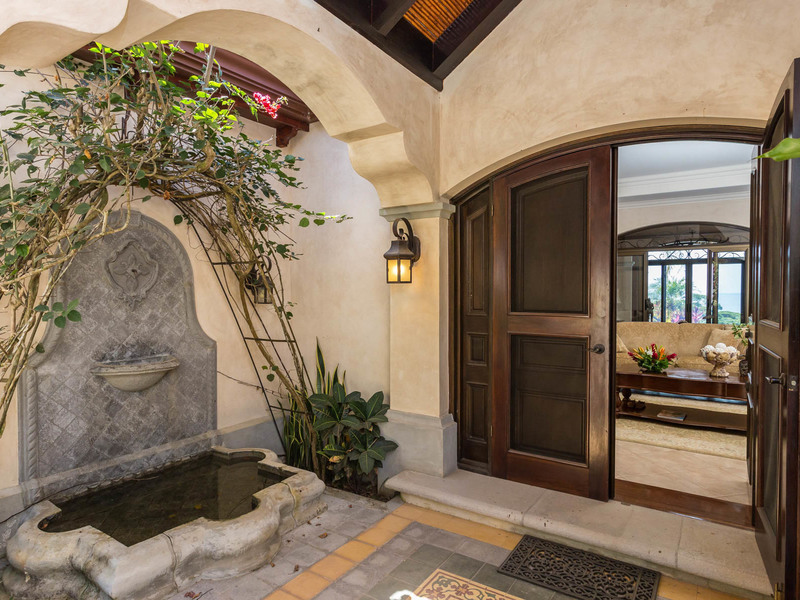 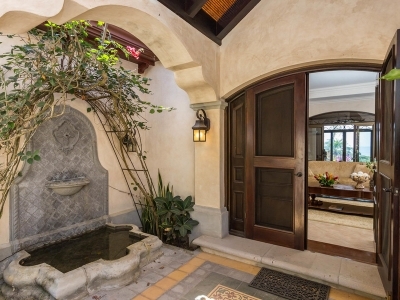 Every detail, from the design to the construction materials to the finish and furnishings, contributes to its overall elegance: A small fountain on one side of the entryway. 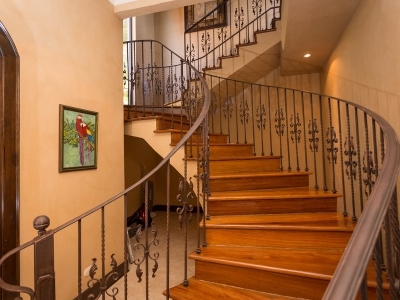 Diamond brushed walls. Recessed lighting throughout. Select ceramic tile. 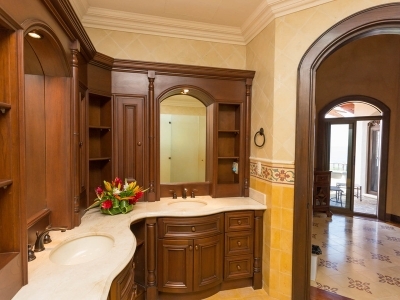 Wood, stone and iron combined artistically. Soaring ceilings. 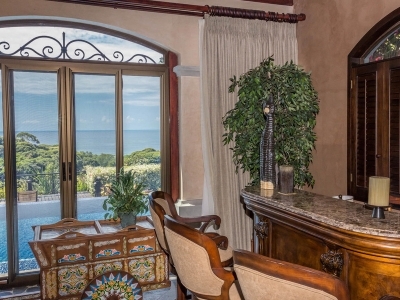 Windows onto the Pacific Ocean and pool area. 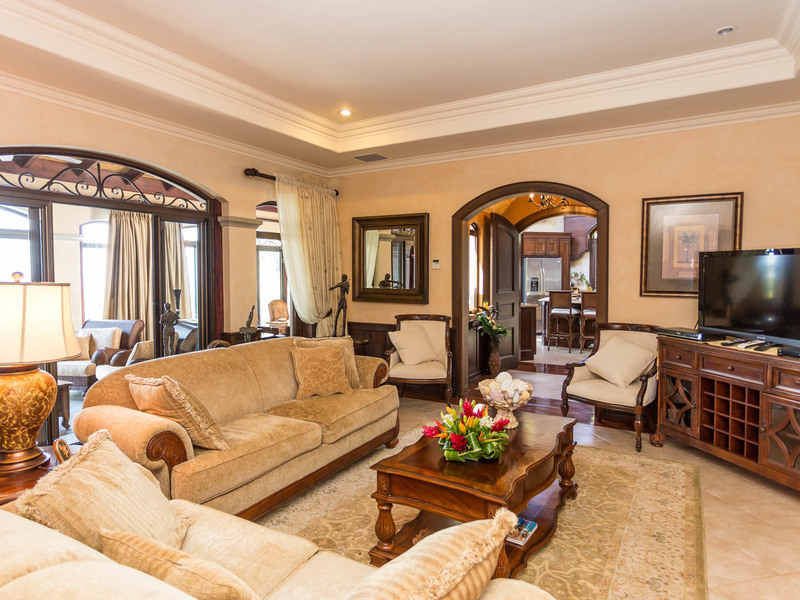 The living area provides your personal space for casual evenings or engaging conversations, but also allows you to invite friends and guests for dinner parties and special events. 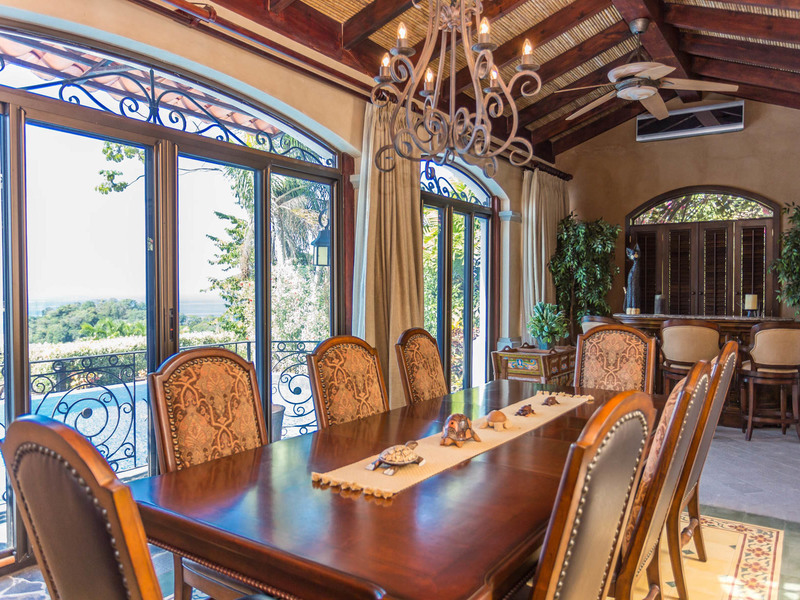 From intimate dinners to a houseful of people celebrating holidays, the setting creates an atmosphere you will be proud to share. Just off of the living room is a fully equipped kitchen and dining area with a 24 foot ceiling and natural light from large windows. 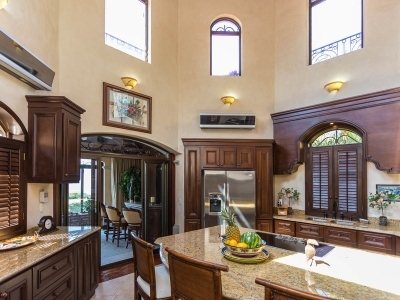 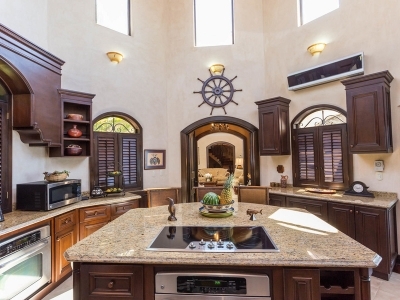 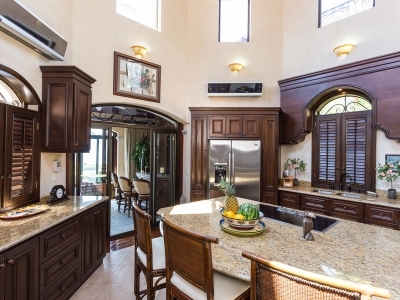 The huge island provides room for preparing a quick snack or a multi course gourmet dinner. Hire a chef to prepare dinner and shhe will have everything shhe needs. All of the appliances are already in place and ready for your groceries. 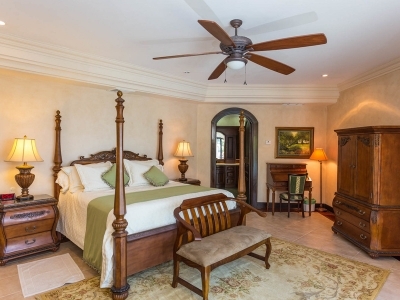 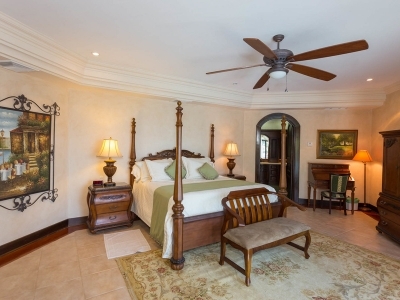 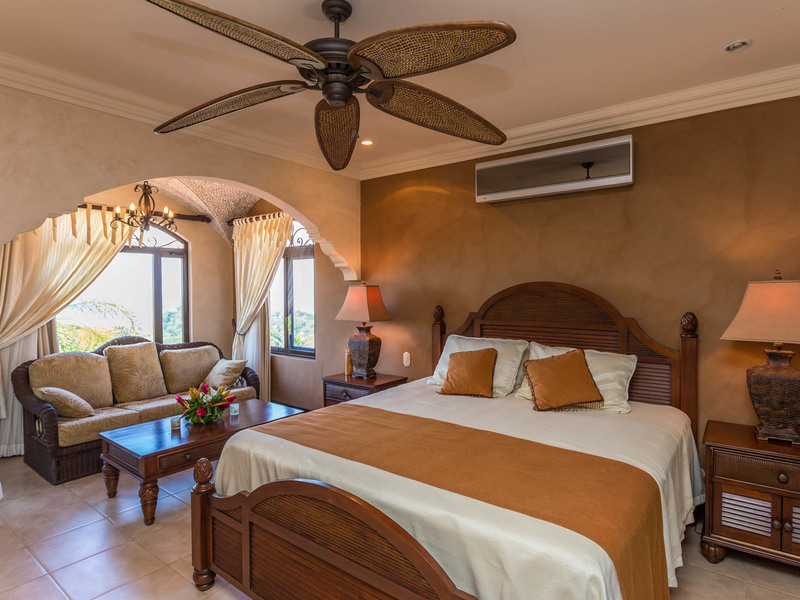 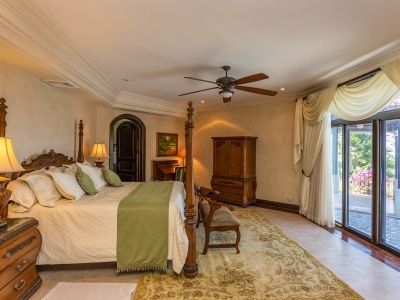 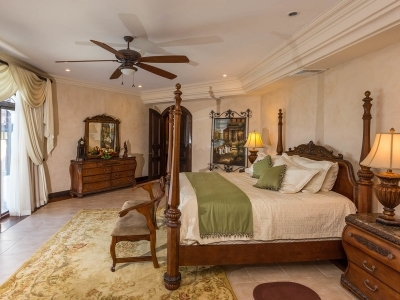 The master bedroom is on the southern side of the first floor with its own ocean views and direct access to the pool for early morning or late evening dips. 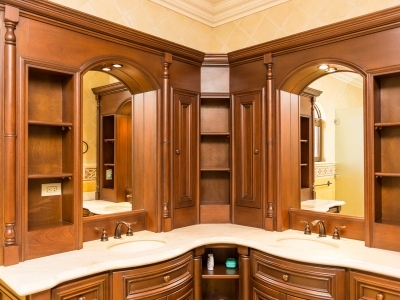 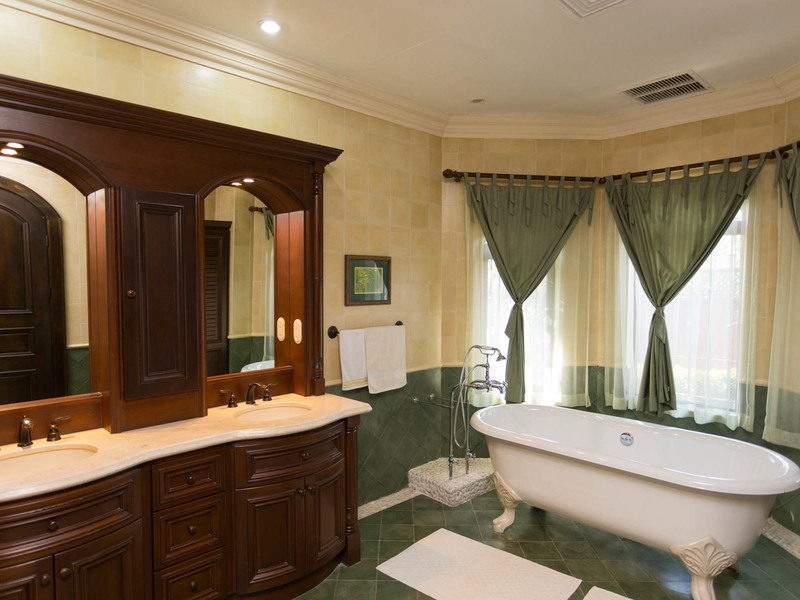 It feels more like a personal resort than a bedroom, with big walk in closets and a huge bathroom that includes top of the line fixtures as well as a tub and his and her showers. 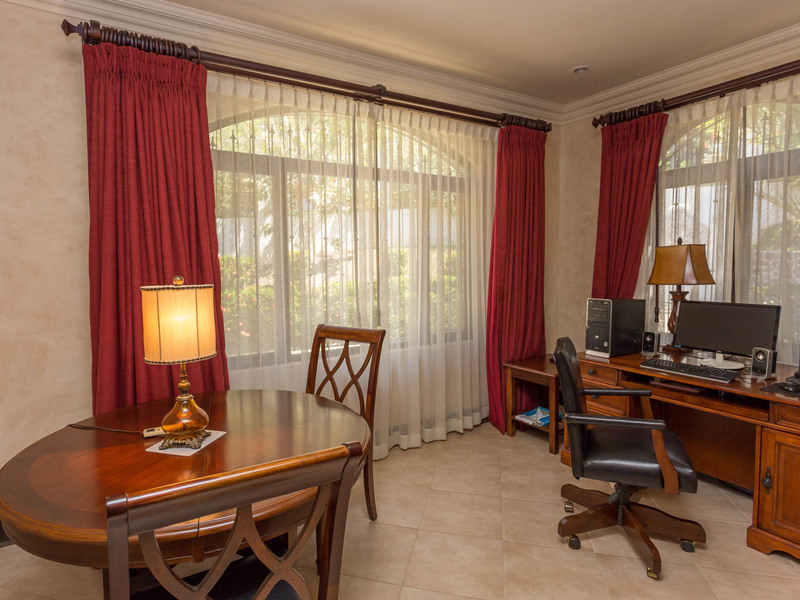 Another bedroom is directly accessible to use either for guests or an office. 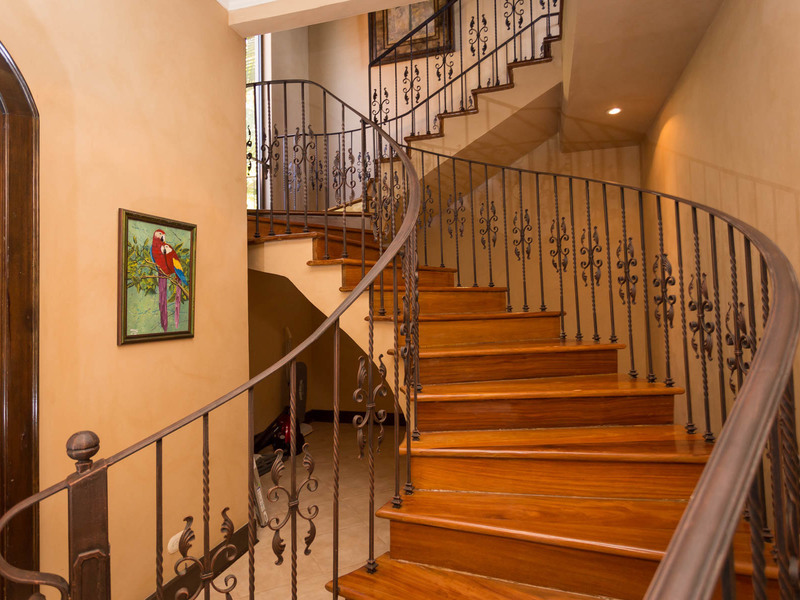 Upstairs there are two more bedrooms, one of which has a cozy, nicely lit area for spending long relaxed hours reading, writing, or learning Spanish. 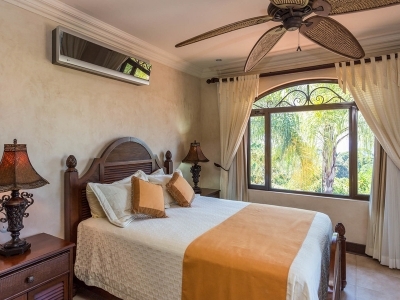 Each of the four bedrooms has its own personality, and each contributes to the relaxation and deep sleep characteristic of life in the tropics. 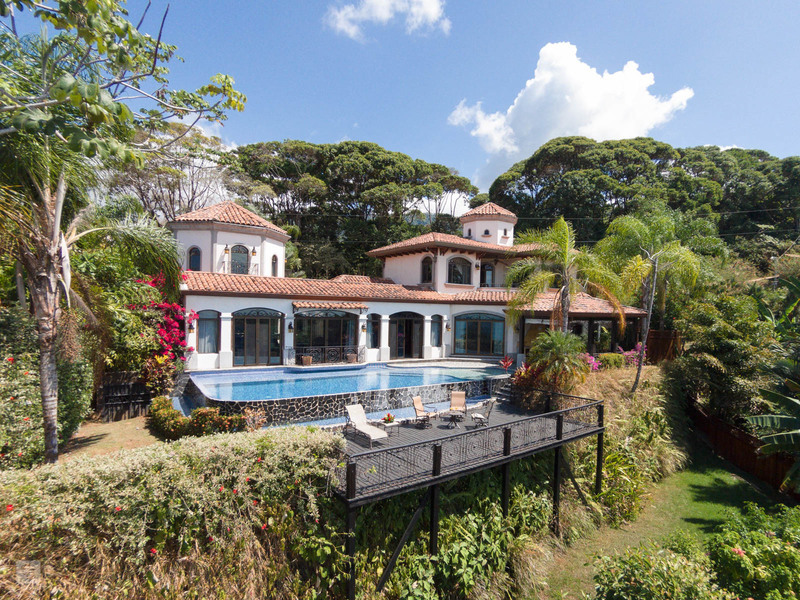 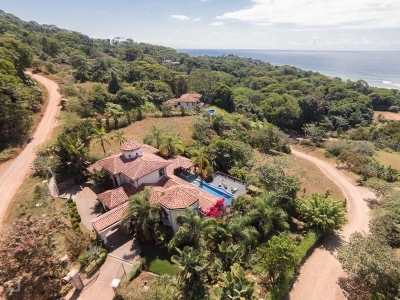 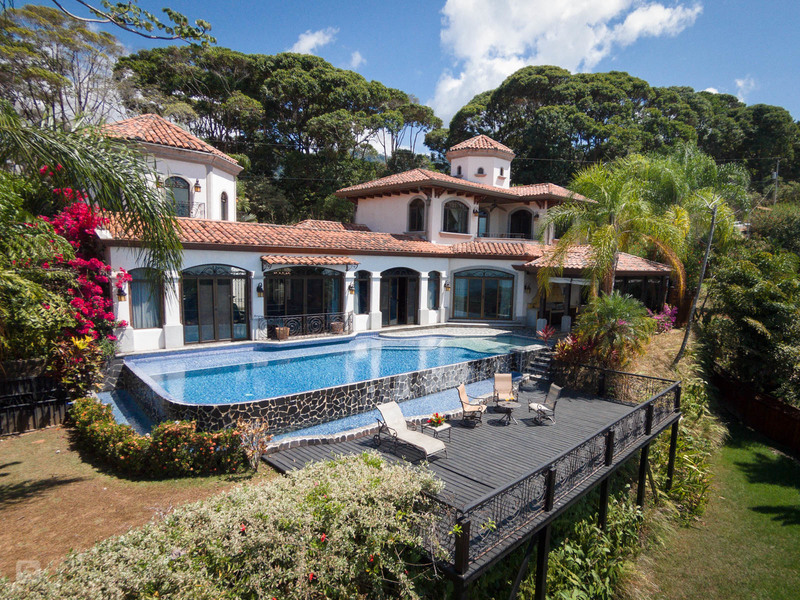 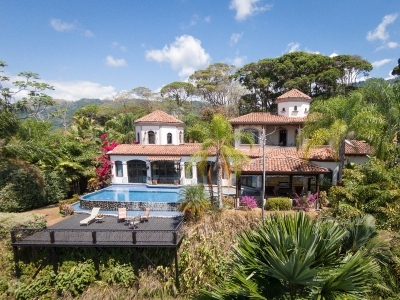 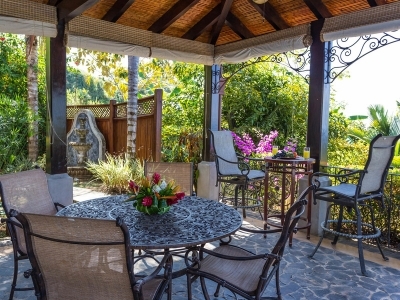 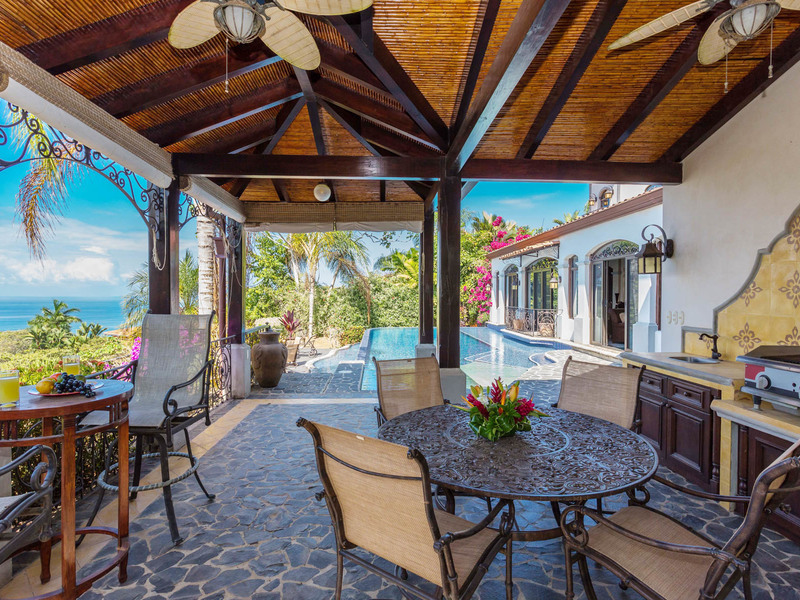 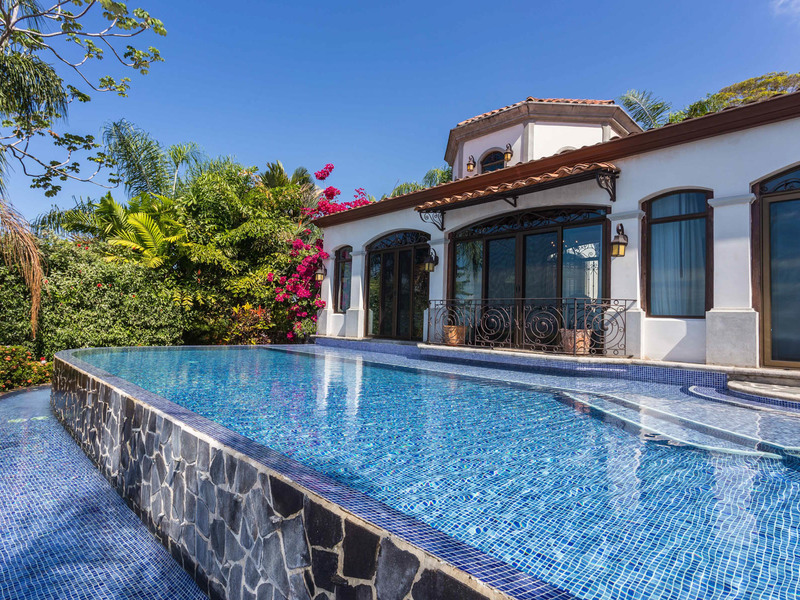 In front of the house there is an infinity pool and barbecue area that were designed to contribute to enjoyment of the outdoor environment that people prize in southern Costa Rica. 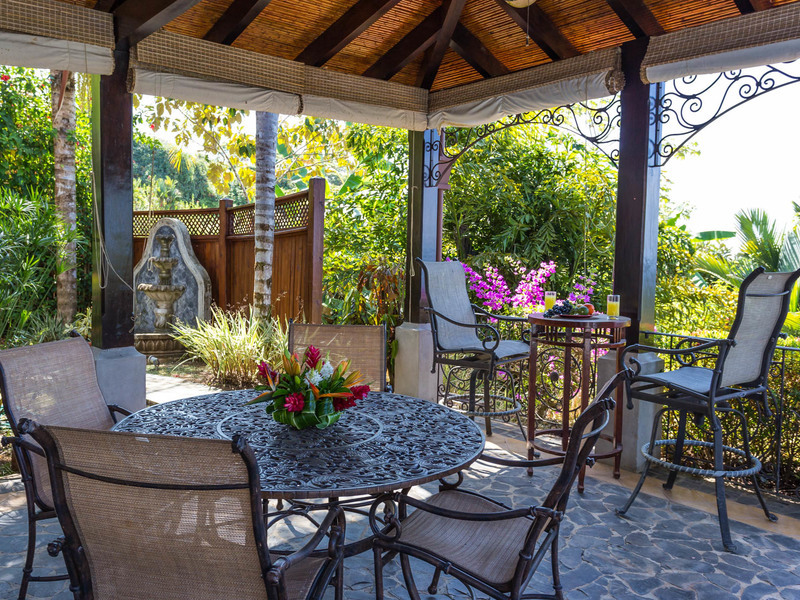 Dine or have a drink by the pool and feel as though you are part of the vast Pacific while you watch the sun set over the ocean. Central air conditioning is already in place for your comfort, and there is a security guard always keeping an eye on the neighborhood for your peace of mind. 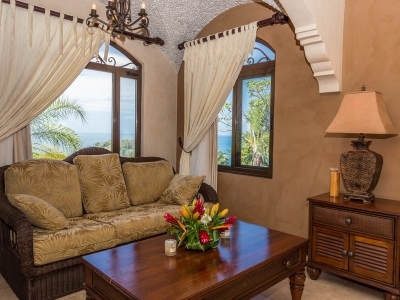 Eleganza Estate is about a minute off of the main coastal highway on a road that is always well maintained. You could walk to Dominicalito Beach in a few minutes if you wanted, although it would be quite the demanding exercise walking back up! 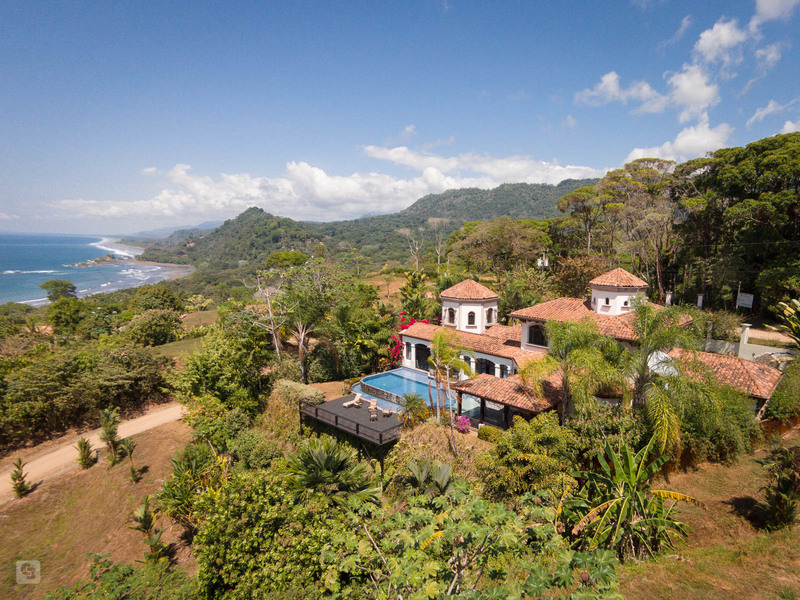 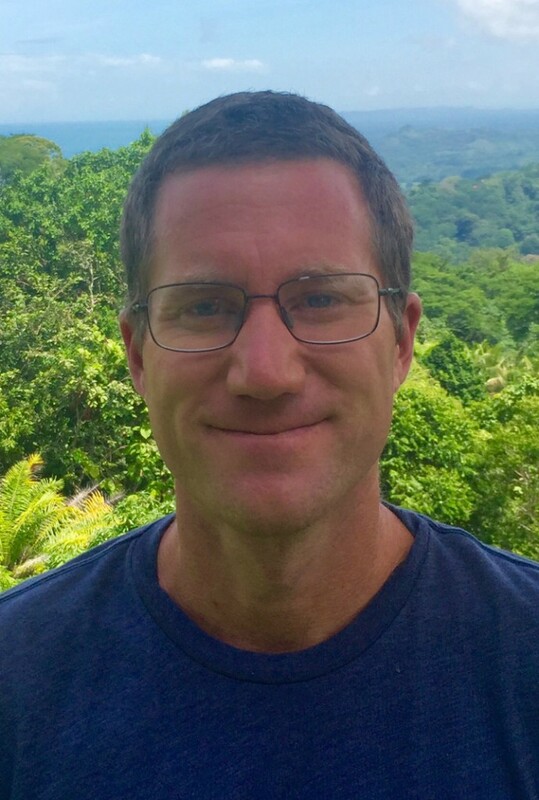 In just a few minutes you can drive to Dominical’s beaches, or in a few more minutes you could be at the large well-stocked grocery stores and a variety of restaurants in the area.